What Is the Difference Between Alkaline & Non-Alkaline Batteries? Can Nimh Chargers Be Used on Lithium Ion Batteries? The most common battery type is AA. 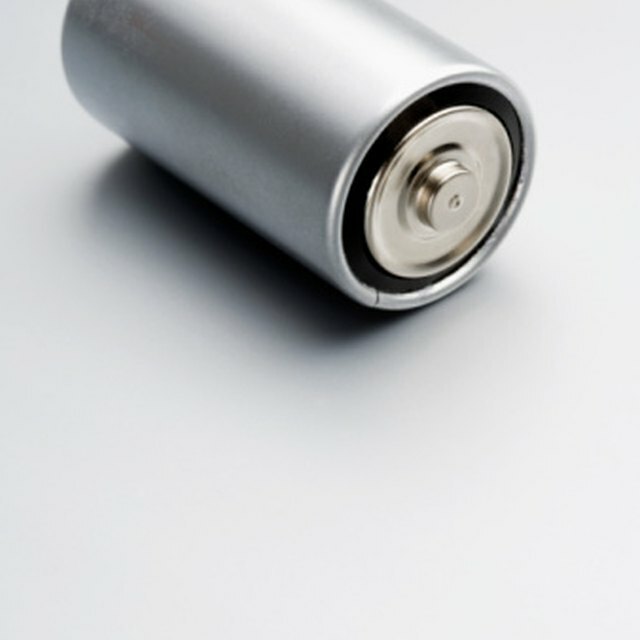 AA batteries are typically dry cells, which are made with an electrolyte that is inside a paste. An electrolyte is a solution that conducts electricity. When under a load, a thin rod inside of the battery reacts with the paste to produce a voltage. The first chemical battery was invented by Italian physicist Alessandro Volta. Dry cell batteries were invented by the Japanese clockmaker Sakizou Yai and patented by German chemist Carl Gassner. The first alkaline battery was invented by Thomas Edison, but Canadian chemical engineer Lewis Urry made the first small one and also invented lithium batteries. AA batteries are typically about 1.988 inches in height and .0571 inches in diameter. They have steel casings and are typically alkaline, so they produce 1.5 volts. Lithium AA batteries are 3 volts, and rechargeable lithium-ion batteries are 3.6 volts. Nickel metal hydrides and nickel-cadmium AAs are also rechargeable and are 3.6 and 1.2 volts, respectively. AA batteries should not be placed in pockets or purses with metal objects such as coins or paper clips. To prolong their life, AA batteries should be removed from devices that are infrequently used. AA batteries are very popular in households. Common uses include toys, remote controls, radios, portable TVs, smoke alarms and flashlights. Lewis, Kim. "What Is the Voltage of AA Battery?" Sciencing, https://sciencing.com/voltage-aa-battery-5746679.html. 24 April 2017.